May was a month full of new people, innovative ideas and yes, you guessed it, conferences! Workato was proud to sponsor along side some great products and talk to potential and existing customers about their integration needs. Here’s a quick round up of every conference we got to attend and some of the awesome stories from our customers using apps like QuickBase, Zendesk, Marketo, Box and more. At the QuickBase Empower conference we made some big announcements. QuickBase and Workato share a joint commitment to increase ease of use for citizen developers and provide customized solutions that complement the way line-of-business users actually work. For this reason, we’ve partnered together to allow some incredible creations and work automation to take place! During our session and at our booth, we got to show users two great examples of QuickBase and Workato at work together, from the World Business Lenders using Workato to implement Salesforce for their burgeoning Sales team to CuraDeuda creating a miniature version of Pardot using Workato with QuickBooks and MailChimp – truly extraordinary! So pumped for @QuickBase #webhooks. Already have tons of ideas for use and can't wait to use it in tangent with @Workato & other cloud apps. The sky truly is the limit for Workato and QuickBase – empowering citizen developers at Empower! Zendesk is becoming a major player in the customer service ring and so is Workato’s Workbot for Slack. We loved showing Zendesk users our powerful Zendesk and QuickBooks integration (as seen in the above video) and showcasing what Workbot for Slack can do. 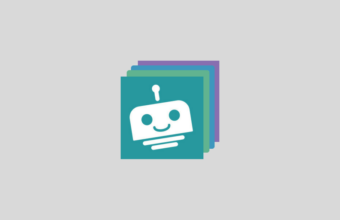 Workbot is a Slack bot that can get work done within the chat console and provide truly customized notifications from Zendesk. We had a great time at Knowledge 2016 with our partner ServiceNow! Not to mention we were a finalist for #CreatorCon along with LinkedIn and Advantage using IBMWatson and Slack – check out the video below. Netsuite is a powerful tool and we were happy to meet some of their enthusiastic users. It was fun to hear that many users, especially those with quote to cash functions, use our recipes to automate the most tedious parts of the process – they’re taking their weekend back one recipe at a time! We teamed up with Box to share our process on how to achieve a fully digital employee onboarding process leveraging Box, Twilio, and SurveyMonkey, without writing a single line of code at Signal 2016. You can learn about the scenario in this post or check out Twilio recipes on Workato. We got some East Coast love at the Salesforce Tour NYC stop thanks to Cheryl Feldman who named us as one of her top 3 apps on the Salesforce app exchange. Thanks Cheryl, the feeling is mutual! Want to know more? Follow us on Twitter and Facebook for live updates.